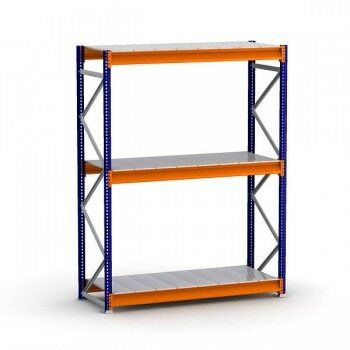 Industrial picking shelves are an ideal solution for medium and heavy-duty storage, which are manually handled. The system includes a wide range of variations that allow you to custom configure your shelf. The levels consist of two beams that make up the levels and galvanized steel or particle board decking, in which case it can also include cross-ties that increase the durability and load capacity of the boards. 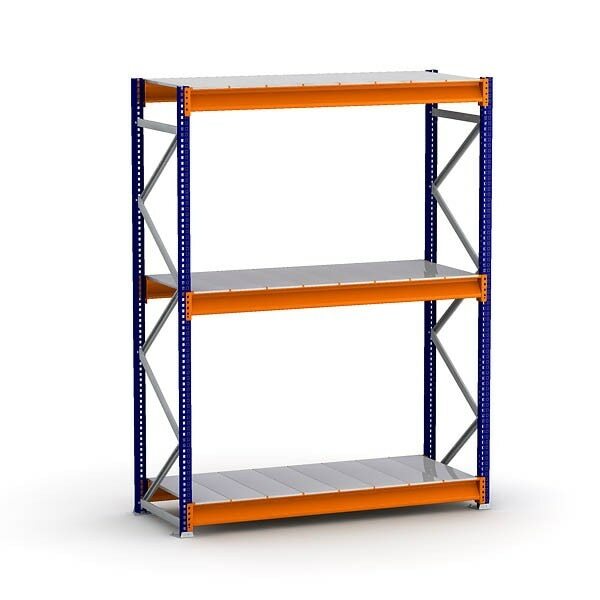 Heavy-duty shelves are the ideal system for storing medium or heavy weight boxes, packets or loose material, and also bulky or uniquely formatted products (such as barrels, tires, hanging garments, tools, spare parts, stationery, etc.) when the shelves are combined with the right accessories. Thanks to the “Z” beam design, it can support almost twice the load capacity per level compared to standard bulk rack shelving units. Heavy-duty shelves are an affordable and versatile system to improve the performance of your warehouse because they can be modified to the size you need. Easily extend your heavy-duty shelf with additional units and galvanized metal levels (consult us about other materials). Highly durable: load capacity per shelf of up to 2,500 lbs. The shelves are adjustable in height every 2''.